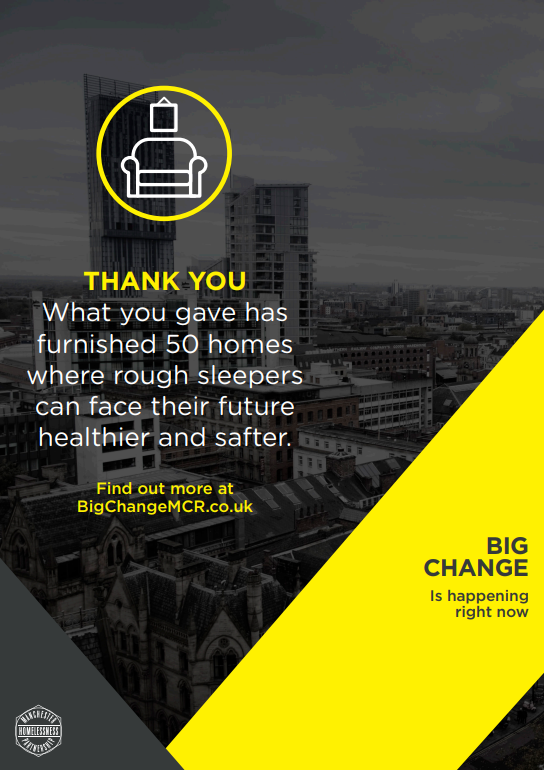 The Big Change MCR campaign launched last year to share ways people can help the homeless and rough sleepers in Manchester. 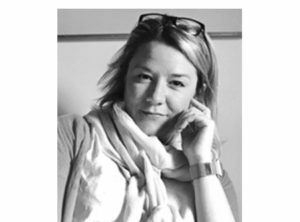 CityCo and Manchester BID support the initiative as part of The Manchester Homelessness Partnership; a network of people experiencing homelessness, charities, voluntary groups and businesses who are all working together to help end homelessness. The central message of the campaigns is to ‘Give Differently’. Instead of direct donations on the street, Big Change is about helping individuals build independent lives away from the streets by offering practical services, items and money to pay for things that are needed. For example a deposit for a home, a training course, clothes for a job interview, furnishing for a new flat, or travel costs. Donate: Follow the fund and donate at Just Giving. Volunteer: Help is needed at the many charities and organisations working daily to support homeless people in Manchester. Apply here. Offer Items: Organisations and charities are always in need of items to help with a wide variety of tasks and services. This can range from hot drink supplies, to IT equipment. See what’s needed. Promotional Film: Watch and share the campaign’s short film to highlight the ways people can support Big Change. The video is voiced by Elbow front man Guy Garvey. 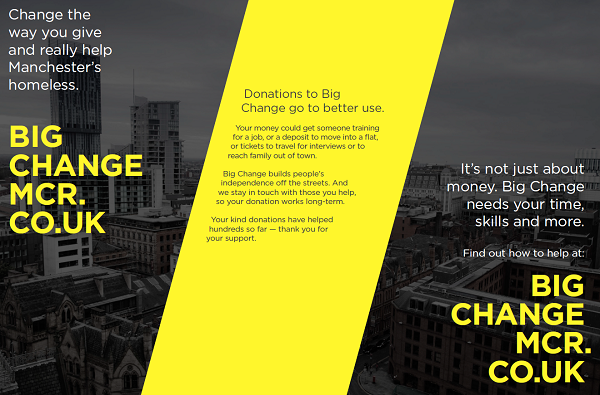 Follow: #BigChangeMCR to keep up to date with help needed, donations and please share the message. For more information about how the city is tackling rough-sleeping, please email operations@cityco.com.